The University of Louisiana at Lafayette’s B.I. Moody III College of Business Administration will offer an online MBA program beginning in the fall. The Louisiana Board of Regents approved the delivery of UL Lafayette’s existing MBA program in an accelerated online format in April. The online delivery complements professional and executive MBA programs the University already offers in a traditional classroom setting, said Dr. Gwen Fontenot, interim dean of the B.I. Moody III College of Business Administration. “The online MBA program will provide an opportunity for people outside the Acadiana area or those with other constraints to obtain the same quality education as our professional students who complete the program here at UL Lafayette,” Fontenot said. The program will emphasize nine areas – health care administration, human resources, finance, project management, global management, entrepreneurship, sales leadership, general business and hospitality management. The college selected these concentrations after an 11-month market analysis of a six-state region revealed a steadily growing need among employers for professionals whose business skills align with these areas. The study concluded that an online, accelerated MBA program would satisfy that demand while meeting the needs of professionals who want to pursue an advanced degree but who have to balance work and personal obligations. The program’s courses will be offered in five, eight-week terms; a traditional semester lasts 16 weeks. Students can enter the program at the start of any of the five terms and can take up to two courses per term. All students will complete a set of core business courses that include topics such as accounting, economics and finance. Additional topics will be customized for each concentration. 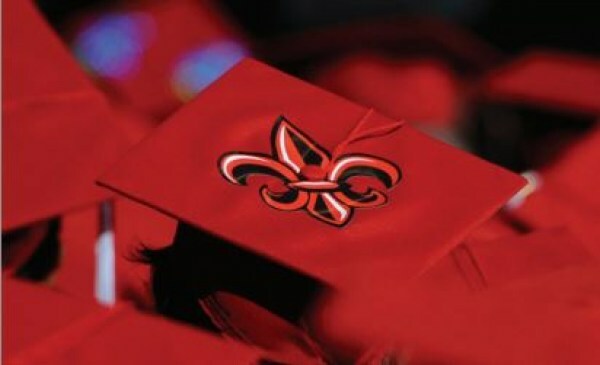 For more information, call (877) 588-2429 or visit www.degree.louisiana.edu. Prospective students will be able to apply for admission starting May 10. The new online degree program comes at the end of a busy academic year for the Moody College. In April, it announced a $2.5 million gift from Lafayette businessman Michael P. Maraist to establish the Maraist Financial Services Lab. The new lab will add a 1,000-square-foot, high-tech learning environment in F.G. Mouton Hall. In April, University President Dr. E. Joseph Savoie announced the appointment of Dr. J. Bret Becton as the college’s new dean. Becton is associate dean for operations and accreditation for the University of Southern Mississippi’s College of Business. His appointment is effective July 1.